Industrial Power board - 10 Amp 3 phase supply with 6x10 Amp IP 56 Rated RCBO protected outlets. 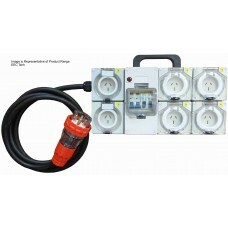 Portable Industrial Power-Board 10 Amp 3 phase supply with 6 x 10 Amp MCB/RCD protected outlets. 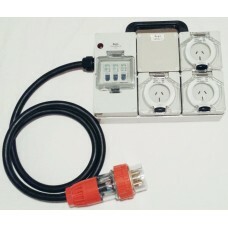 ..
Industrial Power board - 10 Amp 3 phase supply with 3x10 Amp IP 56 Rated RCBO protected outlets. Portable Industrial Power-Board 10 Amp 3 phase supply with 3 x 10 Amp MCB/RCD protected outlets. 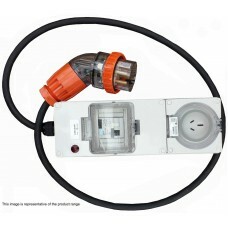 ..
Industrial Power board - 10 Amp 3 phase supply with 1x10 Amp IP56 rated RCBO Protected Outlet. Portable Industrial Power-Board 10 Amp 3 phase supply with 1 x 15 Amp RCBO protected outlet. ..